It can be a bit disheartening to know that many of the most powerful institutions that we have in a supposedly free and democratic country were founded during secret meetings that the public knew nothing about. Sometimes, such clandestine meetings are necessary to protect national security; at other times, however, they are held to avoid public backlash and to enable some of society’s most rich and powerful to steer economic policy without governmental oversight or public debate. One such secret meeting took place in Jekyll Island, Georgia, over a bit more than a week in 1910 and produced the massive Federal Reserve that has huge powers to this day. The secrecy of this meeting is still shocking more than a century later, and the effects of the policies debated in that remote location touch our daily lives in many ways. The gentlemen who sat down at Jekyll Island to discuss America’s banking system rather than to hunt ducks (as reported) bagged far more than a bit of wild game that week. They changed our country’s entire financial structure, for better or for worse. Banks had struggled in the years leading up to the Jekyll Island meetings, particularly during the recession of 1907, which forced several lending institutions to close their doors. In response, several of the nation’s leading financial titans sat down with a U.S. Senator and Assistant Secretary of the Treasury to find a solution in November 1910. Senator Aldrich of Rhode Island made the guest list and oversaw the securing of a remote location to meet. He later put his name on a plan that would be slightly altered to become the 1913 Federal Reserve Act, which has regulated banking and currency ever since. This mini-conference at Jekyll Island was so secretive that only two sources reported on it even several years later. Just those few mentions of the meeting were made until decades later, when details began to harden and those in the know acknowledged the true agenda of the “duck hunt.” Again, the idea that powerful men are meeting behind closed doors with no public knowledge of the agenda remains a legitimate fear as we today learn more of the backroom dealings after the most recent financial crash of a few years ago. The men on Jekyll Island would smile today at the covert meetings portrayed in the film “Too Big to Fail,” but revel in their ability to have kept their top secret gathering out of the cinema. In 1910, there simply were no leaks. The men who met on Jekyll Island took the train far down South, far from the peering eye of big-city journalists in the Northeast. They used only first names during the week so that none of the servants would have any idea who was who, and even chatted idly about hunting while waiting on the train platform in Brunswick, Ga., for the boat that would transport them to the island club. Senator Aldrich and other members of the National Monetary Commission had toured Europe in previous years and studied how various countries prevented runs on banks and general economic panic. Upon the accumulation and digestion of this data, Senator Aldrich invited a few select financiers to join him on Jekyll Island. 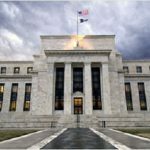 A week later, the 1913 Federal Reserve Act and the outline of our Federal Reserve was born, with 12 central banks regulating the industry and insuring that depositors will not lose their funds when they are placed in an accredited bank. Is it the best way to regulate our economy? Could others who were not invited to the island retreat have contributed ideas that would have led to better economic policy? Would the public have affirmed the tenants of the commission upon learning about them? We will never know. 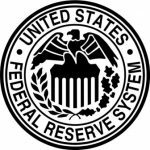 What we do know is that “The Fed” has grown in power over the years since Jekyll Island, as its board of governors, its Federal Open Market Committee and the 12 regional Federal Reserve Banks steer an unwitting public either to prosperity or despair. From a phony hunting trip in Georgia came the creature from jekyll island, where monetary policy is made by a small group of leaders that are not subject to either executive or legislative branch oversight. I actually never knew about all of this until a few years ago. It’s hard to even wrap my head around it really…that the Fed is actually not part of or regulated by our government. It’s absolute insanity! Isn’t it! If you ever get a chance to read the book The Creature From Jekyll Island, you will be amazed at what goes on behind closed doors!